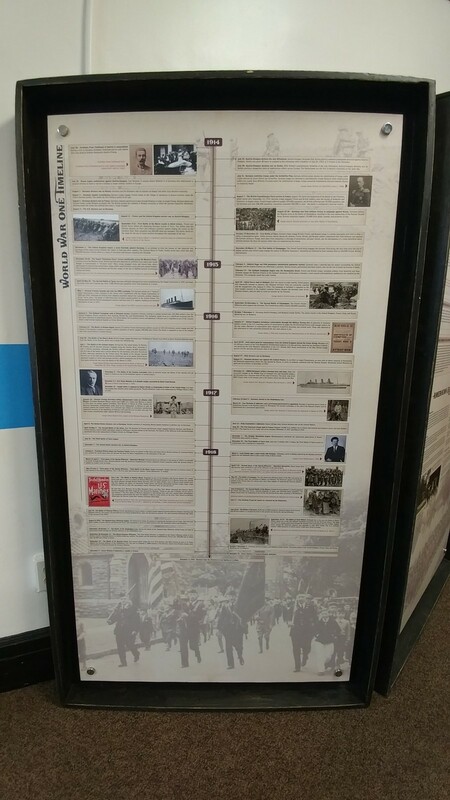 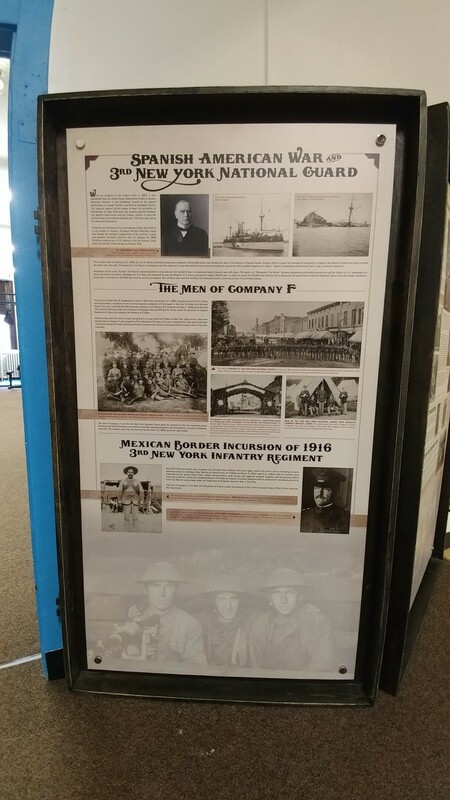 A 6-panel historical display has found its permanent location at the Orleans YMCA. 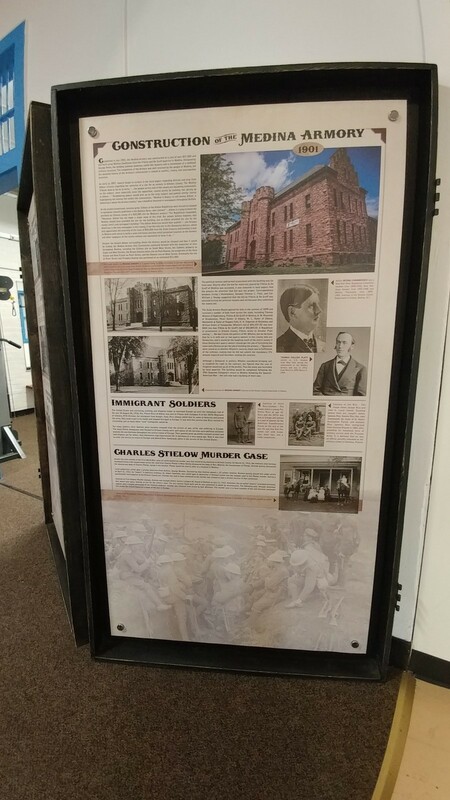 Researched by Orleans County Historian Matt Ballard, designed by Renee Lama and printed by the Print Shop, the Company F History panels were originally on display at the Cobblestone Museum in 2016. 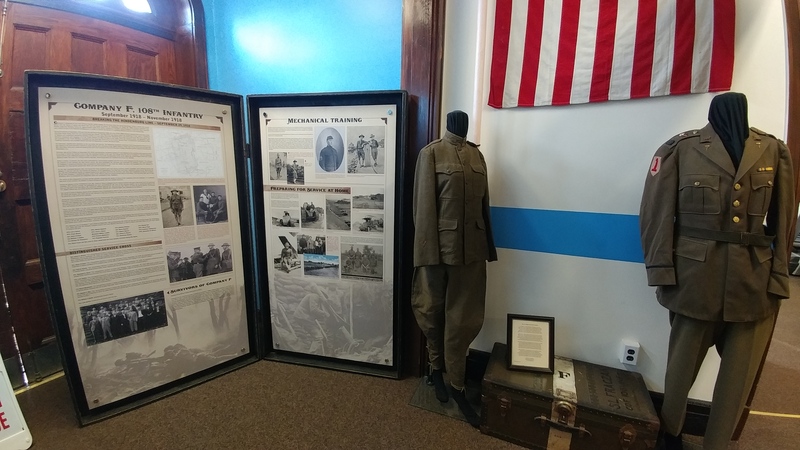 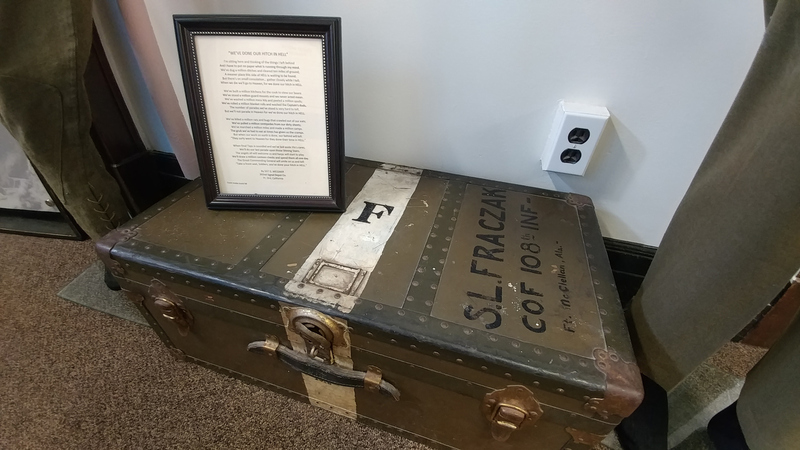 The “moving wall” was then on display at Albion Central Schools, the Hoag Library (Albion) in 2017 and transported to Genesee Community College’s Medina campus in September in celebration of the Orleans County Heritage Festival and our military history. 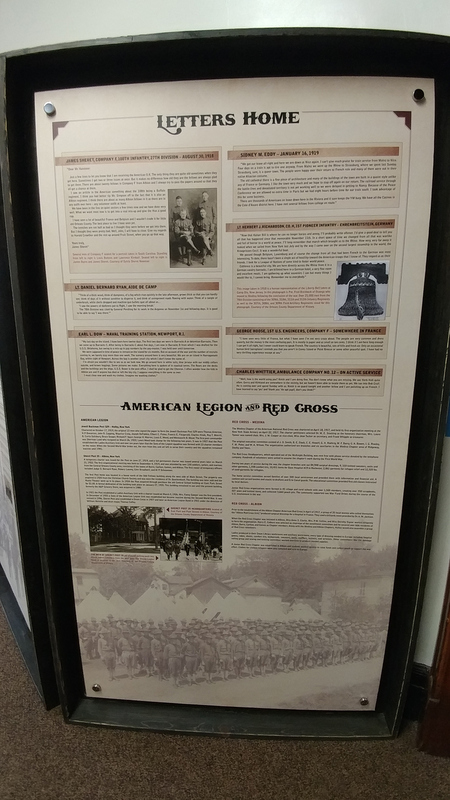 In October 2017, the panels were given to the YMCA to be on permanent display. 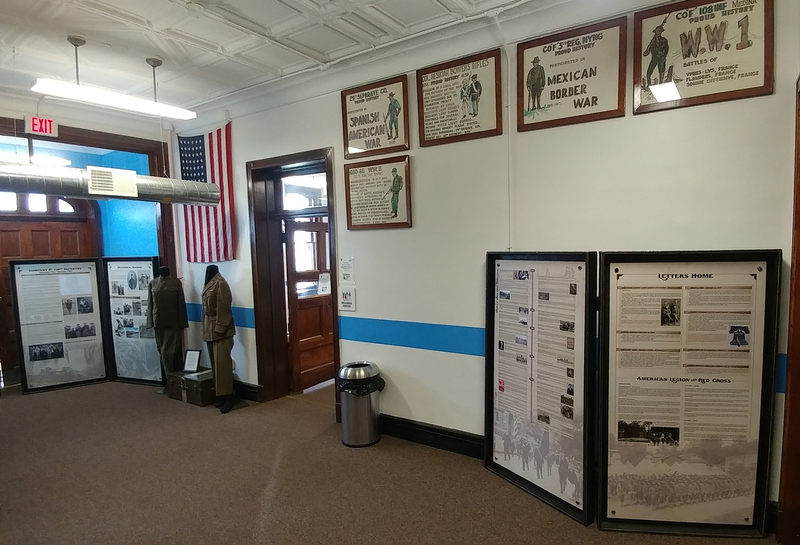 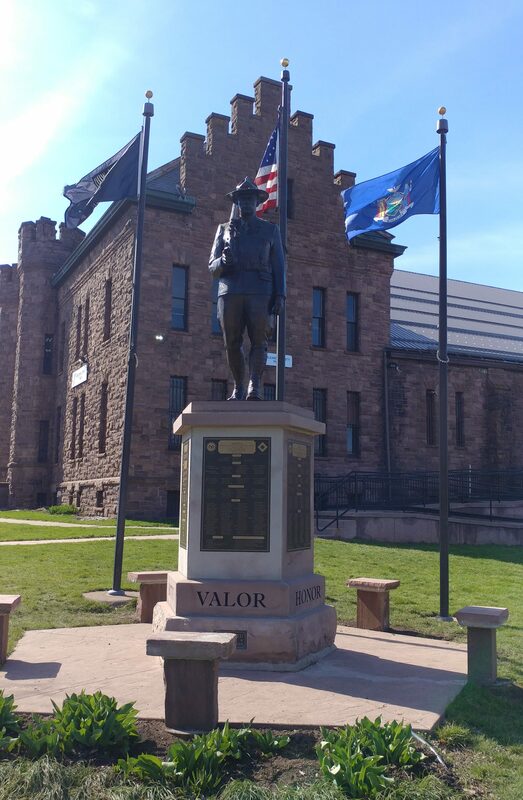 We invite you to visit the historic structure, the former Medina Armory, and learn more about the history of the Boys from Company F.